Another sunflower, today. I love all the shadows, in this one; oh, and the insects, too. Thanks for joining in, today. Sunflowers are lovely, the insects are a bonus in this shot! This sunflower is such a beautiful gold! And love the touch os shadow on the petals! Great photo! Amazing shot! I love the way you captured the insects. I just discovered your meme - it's a great idea. Thanks so much for hosting! 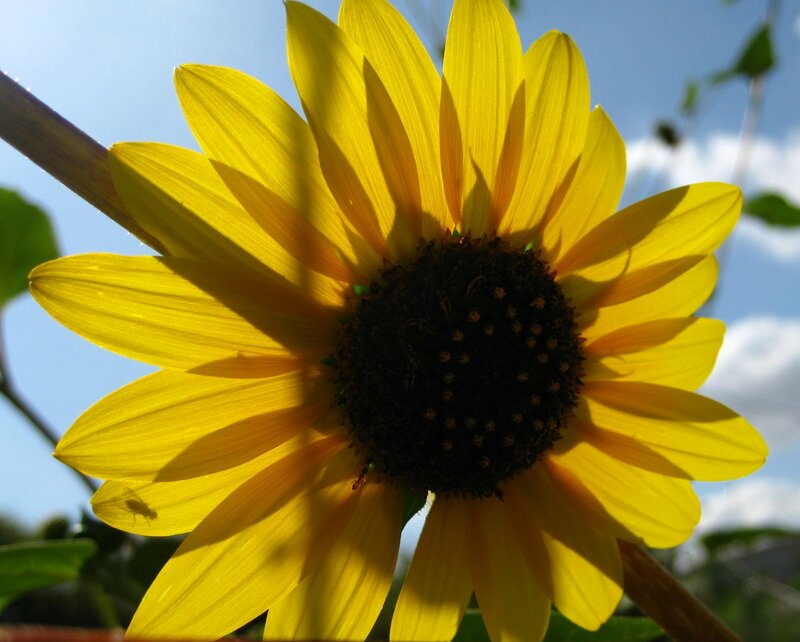 You know that I love me a good pic of a sunflower. Only wish I could have grown some this year....next year they are at the top of my list! That is amazing with the light and shadows. Just gorgeous. The shadow of the insect is so cool! That's a new one for me. This week has been a great one for SOOC shots. This meme encourages me to get it right the first time. I love not messing with things afterwards. Thank you. I love the way it's backlit and I can see the shadow of the fly on the petal and the ant near its center. And the colors are perfect! I really like this shot, especially the shadow of the fly on the backside of the flower. Great job! Wow - this is simply stunning!